Can I be arrested for a DUI after taking prescription medication? You are here: Home / DUI / Can I be arrested for a DUI after taking prescription medications? DUI? The doctor prescribed this medication to me. Everyone knows the risk of drinking alcohol and driving. Few realize the potential for being arrested for driving after taking legal prescription drugs. Approximately 15% of the DUI cases that come into my office are prescription drug DUIs. Just to be clear, what I am speaking about here is operating a motor vehicle while taking prescription medication. It is not a defense to a DUI that you take medication as prescribed. If your driving is impaired, in any way, you can be arrested for a DUI from legal use of medication. This includes over-the-counter medications. There are many drugs that can cause you to be legally impaired, even when taken as prescribed. 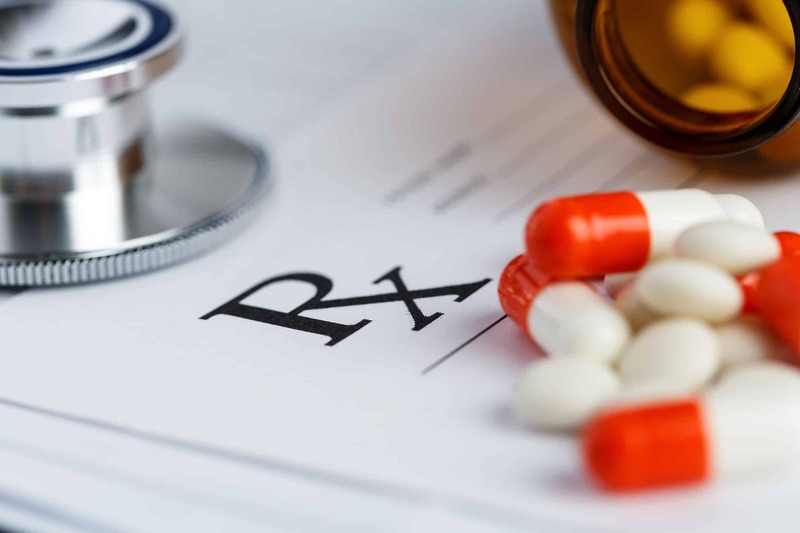 These prescription drugs can cause blurred vision, inability to focus, drowsiness, fainting, and other side effects that can impact your ability to operate a vehicle. Tranquilizers like Vicodin, Narcotic Pain Pills like Oxycotin, Sleep Medicines like Ambien and Seroquel, Antidepressants, Anti-anxiety Medications like Xanax, Cough Medicines like NyQuil, Antihistamines, Decongestants, and many other medications can impair your ability to drive. This impairment can lead to you being charged with a DUI. Even some herbal supplements and drinks can affect your ability to drive. Kombucha tea is a fermented drink that contains small amounts of alcohol. Some formulations have enough alcohol to register on a Breathalyzer test. Kava has a sedative effect that can cause drowsiness and slow motor skills. If you are on prescription medications when the police stop you, they may investigate you for a DUI. The police officer will likely examine you first for a traditional alcohol DUI. He will begin by performing the Standardized Field Sobriety Tests. These are the standard tests that they show on TV shows, like COPS: the Walk and Turn test, the Horizontal Gaze Nystagmus test, and the One Leg Stand test. After the Field Sobriety Tests, the Officer will have you blow into a breath alcohol device. If you blow zeros, he will begin his investigation into other possible substances causing your perceived impairment. He is likely to call in a “Drug Recognition Expert.” The Drug Recognition Expert will conduct a battery of tests to try to approximate what type of medications or other drugs you may be on. Finally, he will either have you submit a urine sample or draw your blood. The officer will send your blood or urine to a lab. Within 4-8 weeks you will get a result back indicating the types of drugs that you have taken. The Drug Recognition Expert wait to see if the medications they predict will be the same that come back on the lab results. Drugs in Blood. Proof of Impairment? One problem with prescription drug DUI cases is that a medication can be present in your blood test, even if you have not taken it recently. For example, maybe you took Ambien the night before to help you sleep. Ambien is still be detectable in your blood and urine the next day, even after you are no longer under the influence of it. Everyone is affected differently, but the drug reactions that impair motor skills, judgment, or alertness are considered just as dangerous as alcohol. Taking medications that affect your judgement and alertness can lead to dangerous driving or an accident. The Food and Drug Administration (FDA) strongly advises against driving while taking antihistamines and other over-the-counter medication. Drugs detected, but not impaired. This is quite alarming, if you think about it. Taking a medicine that impairs your ability to drive, means an officer could arrest you even if you do not drive while actively under it’s influence. The officer could charge you with a DUI based on a test that is picking up traces of the medication you took yesterday. Some drugs stay in your system for up to four days after you take them. The Drug Recognition Expert exists to deal with this problem. They are there to address the fact that having drugs in your blood does not mean you are under the influence. If they guess what you are on before seeing the results it lends credibility to their case. If the police charge you with a DUI based on prescription medications, call an attorney today to discuss your options. Prescription drug DUI cases are entirely defensible, and often difficult for the State of Idaho to prove. If you are on prescription medications that have the potential of impairing your driving, be careful, you may end up with a DUI.